Collaborative industrial robots are complex machines which work hand in hand with human beings. In a shared work process, they support and relieve the human operator. One example: a robot lifts and positions a heavy workpiece whilst a human worker welds light iron hooks to it. During this task, the operator and the various elements of the robot, such as the robot arm and tool, are in close proximity to each other. The robot and the worker may come into direct contact with each other as a result. A comparable situation can be found with mobile service robots, which are being used in increasing numbers in the proximity of human beings in occupational contexts and in public or private environments. 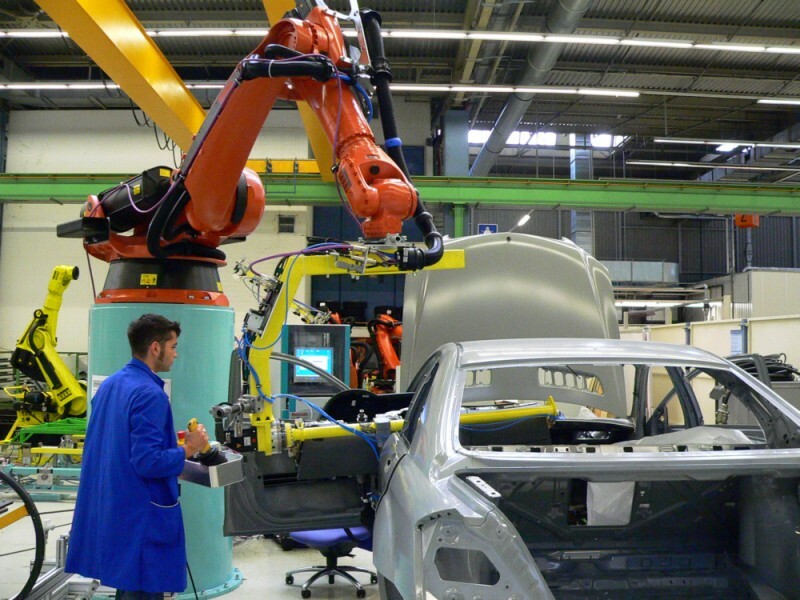 To date, the use of robots has required guards in order to protect persons present in the robot's working space reliably against exposure to mechanical impact and therefore injury caused by parts of the robot moving at high speed. During revision and restructuring of the standards relevant to industrial robots, a further new area of application has been created, that of collaborative robots. The revised EN ISO 10218 standard Parts 1 and 2 and the ISO/TS 15066 specification, work on which was begun in 2010, define the safety requirements for the sphere of collaborative robots. Besides the robot itself, the collaborative robot in this context includes the end effector, i.e. the tool adapted on the robot arm with which the robot performs tasks, and the objects moved by it. Close or direct contact between the collaborative robot and the operator gives rise by definition to a possibility of collision. The robot manufacturer's risk assessment must therefore also cover the intended industrial workplace. The basis for this risk assessment is EN ISO 10218 Parts 1 and 2, besides the Machinery Directive. Since, when collaborative robots are used, guards are no longer in place for certain working/collaboration spaces, other technical protective measures must be employed. These measures must continually identify and, through the robot's control system, minimize the collision risk. A residual risk remains, however. These risks of injury caused by collision between the robot and persons must be assessed and evaluated. In response to an initiative by the expert committee for woodworking and metalworking machinery, specialist field machinery, construction and automation of manufacturing systems, the IFA is conducting several research and development projects in which technical, medical/biomechanical, test engineering, ergonomic and work organization requirements for workplaces of this kind are being formulated. These requirements supplement and elaborate upon the requirements set out in the standards and have been published, for example in the form of BG/BGIA recommendations (future "Hazard Identification Recommendations of the Accident Insurers, EGU"). Huelke, M.; Umbreit, M.; Ottersbach, H.J. : Sichere Zusammenarbeit von Mensch und Industrieroboter (PDF, 274 kB).